The story of how I came to be a dancer is not a typical one. Many dancers start at the tender age of 3 and have memories of sparkly costumes, bobby pins and hours-long recitals. I grew up playing soccer. Instead of spending weeknights in the studio, I spent them on the field. My memories include juggling competitions, Adidas massage slides and orange wedges. I discovered dance accidentally, and continued that discovery rather haphazardly. But don’t worry, my story ends with more conviction than it begins. My unintentional first encounter with dance happened in 8th grade when my middle school decided to start a dance team. Dance was never something I had been interested in, or really even thought about. But that fateful day at school, the new dance team was all anyone was talking about, including Ashley, one of the most popular girls in the 8th grade. As the day went on, talk about the dance team ran wild and I went home with my mind made up. If the popular girls were going to audition, so was I. I had no idea what I was doing but managed to somehow make the team. Fast forward a year to my first week as a freshman in high school. I lived in Arizona, it was 110 degrees outside on day one of soccer tryouts and we were just running. No drills, no dribbling, no shooting, no actual soccer playing, just running in 110 degree heat. I like to think that I’m a dedicated and committed individual who doesn’t give up easily, but after day one of running, I was out. Even though my soccer career was over, I was looking at a year of PE where I’d still have to run outside in the heat. This is where my dance journey took another serendipitous step forward. My high school had a well-established dance program, and students could choose to take dance instead of PE. This seemed like a perfect option for me. After all, I’d just spent a year on the 8th grade dance team with the popular girls, so why not? So, this is how I started my journey as a dancer; I was a conformist who didn’t want to run in the heat. 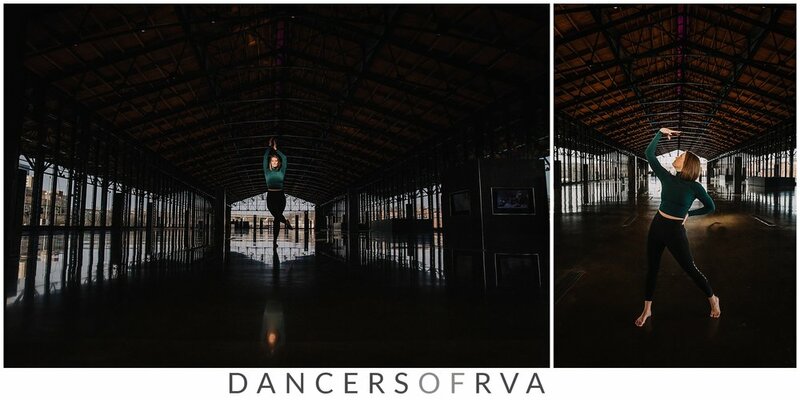 When I was 16, my family moved to Richmond and I danced at a couple different studios, never quite finding the right fit. Studio life was something I hadn't experienced before and I felt a bit out of place, but I stuck with it because I was developing a true love for this art form. My fortuitous dance journey continued when it was time to apply for college. Not growing up in Virginia, I didn’t know much about its state schools, and, honestly, I didn’t do that much research. I applied to James Madison University because I liked the buildings. I knew nothing about the dance program except that they had one. I didn’t even audition. I just declared myself a dance major and registered for classes. Looking back, this was ludicrous, and, might I add, no longer possible, but, shockingly, it all worked out. And thank goodness. JMU was an incredible place. The community was wonderful, campus life was so fun and exciting and I loved every minute of it. Most of all, the dance program was stellar. As I became more serious about my dancing, I realized how amazing it was that everything had fallen into place despite my lack of knowledge, preparation and planning. I started to discover who I was, not only as a person, but as a dancer and an artist. I had a lot of catching up to do and JMU was the perfect place for me to do it. The dance program provided a strong foundation that I still rely upon today. 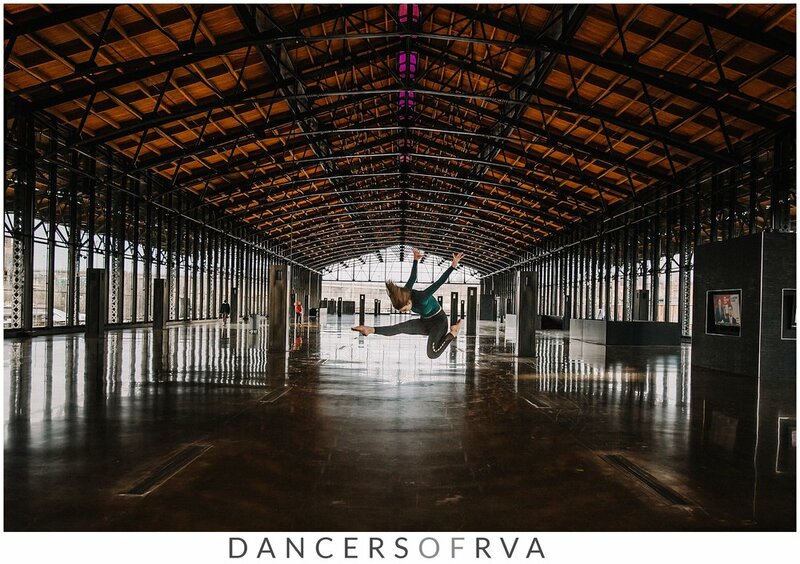 It was at JMU that I realized I could have a career in dance, and even more, that I wanted to. Once I graduated, I spent some time in New York before returning to Richmond in 2009. I worked jobs all over the city, teaching and choreographing for theater programs, show choirs and studios. In 2010, I took a position teaching dance at Collegiate School as a long term substitute. I’m now a full time dance teacher at Collegiate, teaching 4th-6th and 9th-12th grade students, in addition to choreographing for the upper school musicals. I spend my days encouraging my students to be passionate artists who are committed to their work. I challenge them to be curious and creative, and provide the time and space for them to to explore, experiment and take risks. I have learned so much about myself as a dancer from being a teacher, which has been invaluable in my work professionally with RADAR, a modern dance company. I’ve danced and choreographed for RADAR since its inception in 2011, and have served as Co-Artistic Director since 2013. What started as an accident ended up becoming a cornerstone of my life and I am so grateful for that. Dance is a rewarding and challenging art form that demands so much, not just physically but mentally and emotionally as well. Physically, our bodies are our tools, our instruments. As dancers, we must master the use of our bodies, combining strength and power with clarity and precision, moving as efficiently and effectively as possible, filling up the space with our presence and energy. But we must be just as invested emotionally as we are physically. It’s essential that we speak to an audience through our movement, allowing ourselves to be vulnerable and unguarded. As I’ve gotten older, I’ve realized that this is why dance, for me, prevails. Yes, there is an innate desire in me to move, but, more than that, dancing is my preferred language. Translating words into movement allows me to express myself in the most honest way I know how. It’s how I celebrate, it’s how I mourn, it’s how I question, it’s how I come to terms; it’s how I find joy. Dancing is how I experience the world and all it has to offer. It’s cathartic, it’s invigorating, it’s demanding, it’s exciting, and it offers endless possibilities. While I didn’t grow up in Richmond, much of my extended family lived here and we visited often. Main Street Station, being such a staple in the cityscape, always caught my eye. I loved the historic charm of its architecture and design and marveled at it every time we drove past on the freeway. It remains one of my favorite places in Richmond simply because it’s so beautiful. Thanks to its recent renovations, it has even more to offer our awesome city.